The holidays are here and December is prime shopping time. It’s the perfect season to attract new customers eager to pawn items for some extra spending cash or looking to find that perfect gift at the best price. Don’t let your point-of-sale (POS) system slow you down on pulling in that extra holiday revenue. 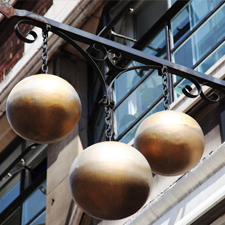 Whether you own a large or small shop, leveraging a POS software specifically designed for pawnshops can help you compete with bigger retail chains, either in-store or online. Here we’ll share with you some of the key Bravo Pawn Systems features that will make your business more efficient for dealing with the holiday rush. We’ll also share tips on how to attract some additional sales. 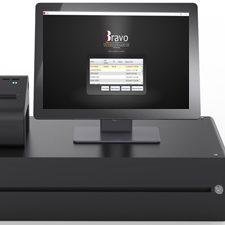 With Bravo POS, operations will run smoother for you and your staff, plus you’ll cash in on extra profits. The last thing you want is for customers to leave because the buying process is taking too long. Enter The Estimator–Bravo’s extensive pricing tool. Let The Estimator asses what an item is worth based on the item’s condition. Need more information to make the buy? Dive into the Bravo Product Knowledge tool, filled with data compiled from thousands pawn shops. See the average price sold, loan amount, margin, return rate, shrink rate, and more for any make and model. Nothing says Happy Holidays like some shiny, new jewelry! According to Idex (International Diamond Exchange) Magazine, jewelers typically make one-third of their annual revenue during November and December. Make sure you’re taking advantage by fairly buying jewelry you can then resell. Bravo will make it easy to accurately price jewelry coming in by subtracting the gravity weight of stones from the mounting weight of the metal so you get a precise price breakdown on every piece. Then you can easily showcase and sell your best pieces in-store and online and scrap or recycle the rest all using Bravo. Sometimes customers just need more options to pay for that perfect present. That’s why we’ve streamlined the layaway process for both you and your patrons. Bravo POS lets you setup flexible payment terms and down payment options. The system will then notify you when layaways are due so you can stay on top of them. 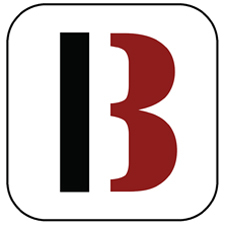 Bravo has also introduced MobilePawn, the first mobile app for pawn customers. Encourage your customers to download the app so they can monitor their layaways and make payments straight from home. You’re sure to an increase in on-time payments! According to the annual Deloitte holiday retail survey, over half of holiday purchases will be done online this year and you can be there too! Bravo makes it easy to turn your brick-and-mortar shop into an online retailer with its eCommerce integrations. 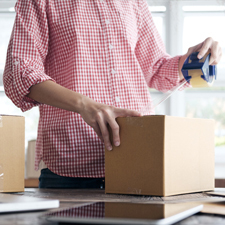 You can upload inventory to eBay or post on our eCommerce site, Buya.com. We can even help you create a company branded website. Let us keep you open 24/7 so you don’t miss a single holiday sale and feel secure knowing each transaction through our reliable and secure shopping cart delivers your PayPal payment seamlessly to you through Bravo POS. People love to research and price compare online, especially right now while sales are everywhere. You want to make sure your store is in their consideration set. Let us drive customers to your pawnshop by marketing your Buya.com inventory on Google, Yahoo, and Bing. Plus, we’ll also purchase Google AdWords ads to market your items, helping ensure your items are seen when people search for that product. Bravo can also connect you to social media by allowing you to share content on Facebook, Twitter, Pinterest, and Google+. Sharing deals on social is a key holiday marketing tool and one you can do quickly and easily with Bravo. And don’t forget when the season is all said and done to check out how you faired. Bravo offers 36 standard reports, plus ad hoc reports, so you can slice and dice your data any way you want. This will help you see what your strengths and weaknesses were over the holidays so you can improve next year. 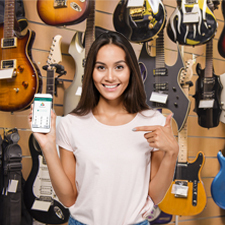 We think that by implementing the Bravo POS system for pawn shops, you’ll only continue to become more efficient year-after-year and that will translate into stronger sales and profits. Happy holidays indeed!